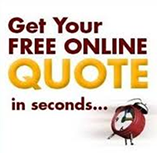 McGhee Insurance Agency, Inc. strives to make it easy to access the information you need, in the format you prefer. Above are links to process claims. If you prefer, you can call your local office and we will assist-after all that's why you chose a local agent.